How long she’s kept it off: One year. 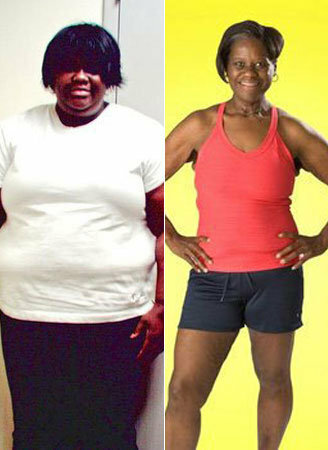 She started in June 2005 and met her goal in April 2009.
not eat white flour or sugar. Exercise routine: “I do cardio workouts four to five times a week. 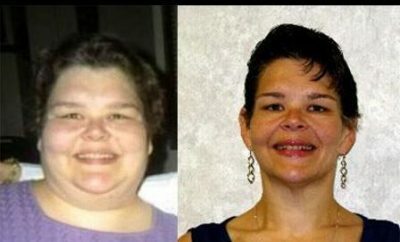 I supplement my cardio with two one-hour sessions with my personal trainer every week to target specific areas for toning.” At first, she was intimidated to go to a gym, with the possibility of being the biggest person there, but at Gold’s Gym she found a trainer and “a family away from home,” she said.